Dolphin’s Of Hollywood (c. 1948-51? ), Recorded In Hollywood (c. 1949-53) and Hollywood (1953-68) were among the many labels run by John Dolphin. Click here for an introduction to John Dolphin’s ‘Hollywood’ labels. #1095 was the last gospel release on the Hollywood label (1958). Hollywood 1069 (Rev. G.W. Killens) was earlier released on Recorded In Hollywood 196 (1952). Hollywood 1073 (Southern Six) may have been released as by Andrew Johnson as well. Hollywood 1078 (Abraham Brothers) was also released on Sullivan (with the same number). Missing numbers are (all?) secular releases. 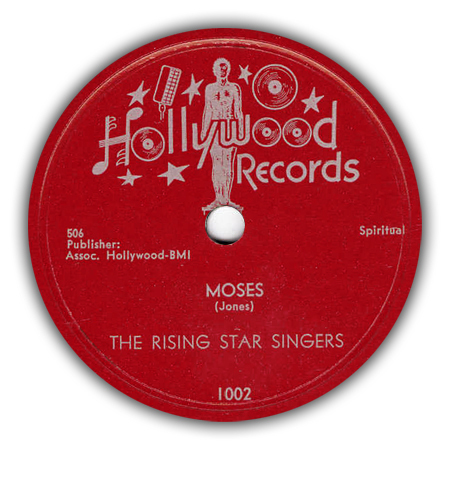 This page lists all known Hollywood gospel releases. Most issues have been released in both the 78rpm and the 45rpm format.